Offline NT Password and Registry Editor is The best windows 7 password recovery software .Learn how to recover lost windows 7 login password .Download Offline NT Password and Registry Editor , it's free. The Offline NT Password & Registry Editor password utility is one of the greatest free Windows 7 password recovery software .The Offline NT Password & Registry Editor password tool is free and better than many premium password recovery software . If you have the following problems (Lost Windows password or locked Windows account) so you can use Offline NT Password & Registry Editor password utility . 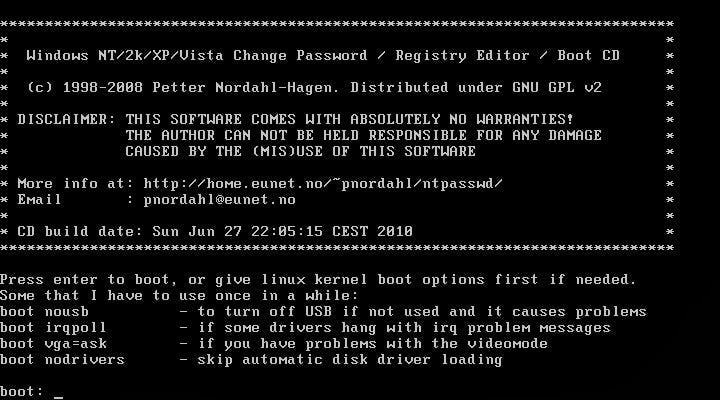 Just run Offline NT Password and Registry Editor from a bootable CD or USB and reset the forgotten password or unlock the account. It's a matter of a few minutes, Offline NT Password and Registry Editor is the most powerful solution for recovering or bypassing all types of Windows account passwords: user', administrator, Active Directory accounts, and domain administrators. 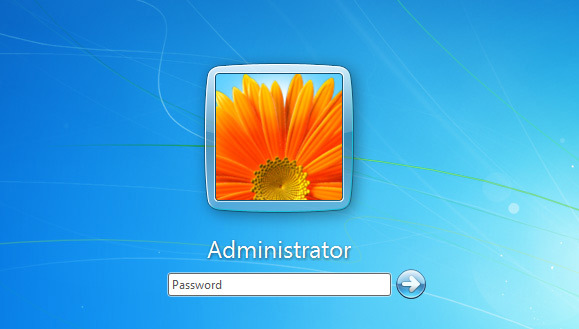 Offline NT Password & Registry Editor can recover all types of Windows account passwords: user, administrator, Active Directory accounts, and domain administrators. It's portable software no installation in Windows is required. Offline NT Password & Registry Editor is free of charge to download and use. Offline NT Password & Registry Editor support Resets Windows 7, Windows Vista, and Windows XP passwords. First you must download Offline NT Password and Registry Editor ISO file .I put the files of bootable CD and also Bootable USB flash drive . 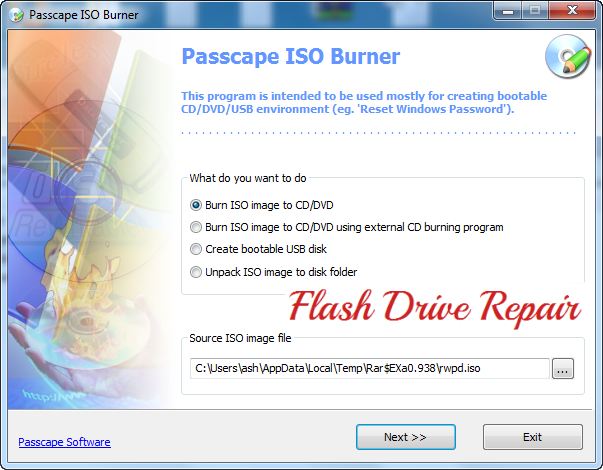 Extract the files , then bring a blank CD and burn the Offline NT Password and Registry Editor ISO from the folder "For CD " by using the Passcape ISO Burner Software included in the downloaded folder . Open Passcape ISO Burner and determine the destination of Offline NT Password and Registry Editor ISO file . Click Next and wait until burn the CD . Now Boot From The CD , restart your windows . Offline NT Password and Registry Editor will start automatically . Follow the instructions on the program screen . After Delete windows password , remove CD and reboot your windows . Now your windows password is removed . 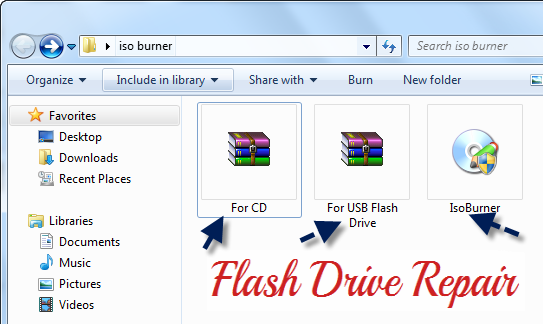 Insert your USB flash Drive and Copy all the files inside the For USB flash drive.zip into your usb drive.Note copy files directly on the drive, not inside any directory/folder. No problem if there are other files on the USB drive from before, they will not be removed. You can make your USB flash drive bootable , by reading a different methods in this articles in this label "USB Windows Boot " .